Here in the Pacific Northwest where trees, bushes, and other plants easily grow, sewer lines quite frequently have problems with roots invading our pipes. Even if you just have a hint of a problem, give us a call at 253-227-0084. True, sometimes slow running drains can be caused by washrags, and other materials that can get flushed down our drains. Tree roots are intelligent. They seek nourishment and water. Tree roots have been known to cause problems from as far away as a hundred feet or more. Warm water inside sewer pipes can produce vapor, which escapes to cooler soils. Water vapor acts as a magnet to root systems. Worn pipes, or sections that have settled are an open invitation to tree and plant roots. Snakes without blades are generally used first to unblock clogged pipes. If this doesn't work then the heavy artillery is brought in. 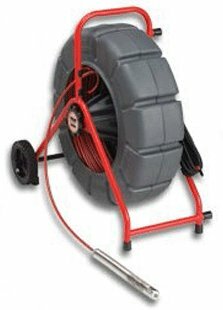 Industrial strength snakes with rotating metal blades are fed down into sewer pipes until they encounter a blockage. When they encounter an obstruction they try to chew their way through. If they can chew completely through whatever is daming up a sewer line then the drain should run free. 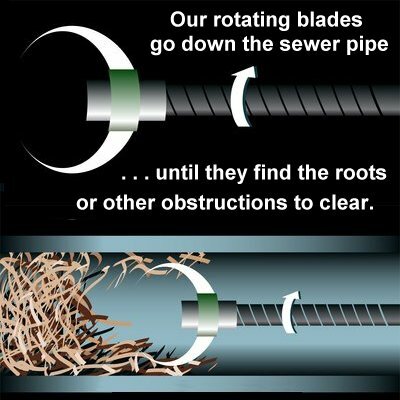 De-rooted sewer lines may run clear, but if roots have invaded your pipes then clear running is only a temporary fix. The roots will be back. They are a force of nature. 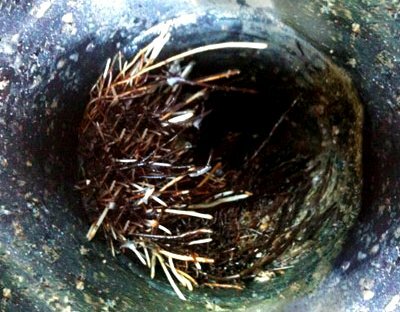 Tree roots thrive inside sewer pipes. 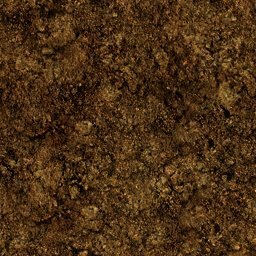 Root invasions are one of the most expensive sewer maintenance problems experienced by home and business owners. If you have root problems, then you should start planning a solution. A Video Sewer Inspection reveals many problems to you about your sewer line. Basically this is a process where we run a video line towards the problem area. At the head of the line is what looks like a microphone, but is a camera and electric light that lets you see potential problems in close-up detail. The video shows how far into the line any problem is. Over time, old concrete pipes lose their smooth sides. Exposed aggregate is a sign of trouble. If you can see a rough surface of pebbles the next dragadation will be more root infiltraton. Another possibility is pipe sections that have settled leaving gaps for roots to find their way in. The same goes for collapsed or crushed pipes. We can record your video inspection on DVD, so you can see what and where your sewr line problems are. There is a cost for the video inspection, but in any subsequent bid for sewer repair or pipe bursting, we reduce part of that fee. For derooting, and video inspections give us a call at 253-227-0084. Sewer Line Rooting Tacoma Lakewood Puyallup University Place, roto rooter sewer line Tacoma, roto rooter sewer line Puyallup, roto rooter sewer line Gig Harbor, de-rooting sewer line Tacoma Lakewood Puyallup University Place, roto rooter drain pipes Tacoma Lakewood Puyallup University Place, Video Sewer Inspection Tacoma, Video Sewer Inspection Puyallup, Video Sewer Inspection Gig Harbor, Sewer Line Rooting Tacoma Lakewood Puyallup University Place Washington WA.